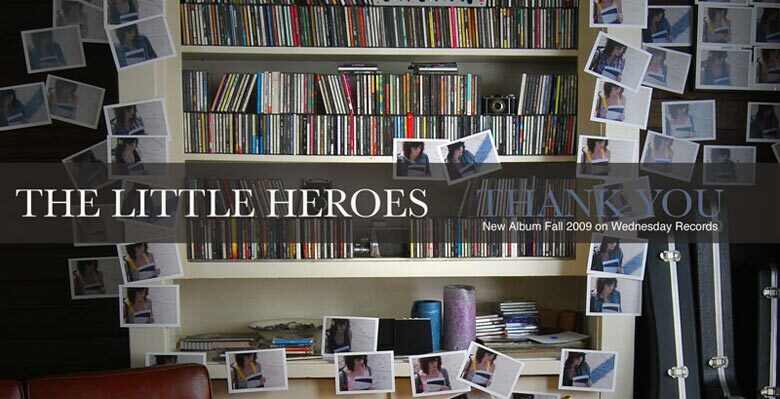 Catchiness can only hold your attention for so long, and even that gets stale before long on The Little Heroes’ second album, Thank You. Although it’s full of driving beats and semi-rhythmic guitar patterns, too much of it sounds like standard teenage anthems. Lyrics that are sometimes melodramatic and sometimes boring are sung at a whisper or a moan, a la pop-rock from back in the day (think The Early November and Yellowcard). Generally, the songs are unmemorable — boring stories about Portland and Seattle and finding oneself, forever in the second person, to strike deep in the hearts of tween girls everywhere. As if the songs were written specifically for them. When played in one sitting, the songs blend together in mediocrity. A few tracks have a hint of twang, with steel guitar and vocals reminiscent of The Damnwells, but for the most part, Thank You repeats the same beats and patterns. And unfortunately, the most stand-out track is the album opener, “Say I’ll Be Gone,” which sounds just generic enough to be anything, but is ambiguously reminiscent of one song that may or may not have been popular from the OC soundtrack a few years ago. Not only is there nothing new about Thank You, there’s very little to entertain the listener over a prolonged period as well. Generic pop is available by the dozen, but if that’s what you’re after, you might as well go for something that gets stuck in your head; Thank You is far too forgettable.